Note: There won't be a Teacher's Tone Up this year, but I do have free resources for teachers HERE and a group program for fans of all professions where I guarantee you'll drop 2 dress sizes in 10 weeks. Learn more about HERE. I’m not sure how it’s already August and time to prepare for going back to school, but it is and I’m actually quite excited for Back to School 2014. It’s not because of the crazy traffic to come or getting a break from having my children at home (both of mine are staying home). Instead, it’s because the first school session of The Teachers’ Tone Up is only a month away! The Teachers’ Tone Up is the 8 Week Online Group Fitness Program I created, because I believe that everyone, especially teachers, deserves fitness that fits their busy lifestyle. While I love all of my clients, my teacher clients have a special place in my heart because I used to be one. I know first hand how hard it is for teachers to find time for fitness (or anything for that matter!). However, as someone who ran her first marathon during her first year of teaching, I know it can be done and it can actually help your teaching (don’t worry, my program is NOT a marathon plan, but a beginner’s fitness program that only requires a 30 min daily commitment). I can’t wait to welcome the Teachers’ Tone Up Class of 2014! That’s why I’ve decided to write up some special blog posts and to help my teacher friends get ready and inspired for the year ahead. Today’s post about SMART Goals is the first Back to School 2014 blog bonus and there are a LOT more to come by myself AND some amazing guest bloggers. I can’t wait for you to get all of their tips JUST for you and hope they help you have a great start to the 2014-2015 year! This post is a lesson plan outline for a class on SMART goals. It can be modified for any grade or subject and is a great way to start the year. The specific lesson outlined below was used in a secondary education classroom with success. If you teach younger students and want to offer some ideas on how to modify it, please jump right in and do so in the comments section below the post! Have a few students share their do first notes (to class or as a think, pair, share). Get feedback from some who have achieved their goals as well as some who have not achieved their goals. Note any patterns if they exist. Most of us set goals, but not all of us reach them. In today’s lesson, we’ll look at five key parts that of well written or “SMART” goals. Not only will these goal components help you write better, smarter, goals, the five parts of goal setting are also summarized by the acronym SMART. By uncovering what each part of the acronym means, you’ll be able to create you own goal and have a higher chance of reaching it [can specify goal for term 1, fitness, month 1, etc]. Have students try to rewrite the goal “to do well this semester” to include the “what,” “how,” and “why,” so it is specific. Ex. My goal is to earn an A in Chemistry this semester by taking notes and reviewing them each week, because I want to have a solid start to the school year. want to achieve. The goal of “doing well this semester is not measurable. What are three ways to make this measurable for academics? Ex. Letter grade, handing in all homework, getting an 80 or above on all quizzes, etc. should be one that you can reach. the goal of earning 1st place on the swim team is probably not attainable-this year! Think about your past performance and what a reach would be for you at this point. If your goal is to get in the top 5 at your first cross-country meet, but you haven’t even run a mile or prefer swimming, this might not be the best goal this semester! Maybe you can start running now and try out for winter track, but placing in a meet would not be a relevant goal this year. Since I’ve already said we are setting our goals are set for this semester, they will be time bound. However, this is a key part you should put into any goal you create. Students will craft their own SMART goals. Give students 5 minutes to write a goal, then do a think, pair, share to help each other assess their goals. Note, goal can be simplified to fit handprint legibly. Full SMART goal format can be required on the back or submitted with the homework. Teacher will collect handprints and then line them up on the bottom of a classroom wall/bulletin board. Each week (or other specified time period), students will move the hands up the wall a designated amount if they are on track with their goal. Submit typed goal and outline of incremental ways to check in on this goal. There you have it! A nice little lesson plan to start the year in any class you teach. I hope you enjoyed it! Come meet me in Connecticut! 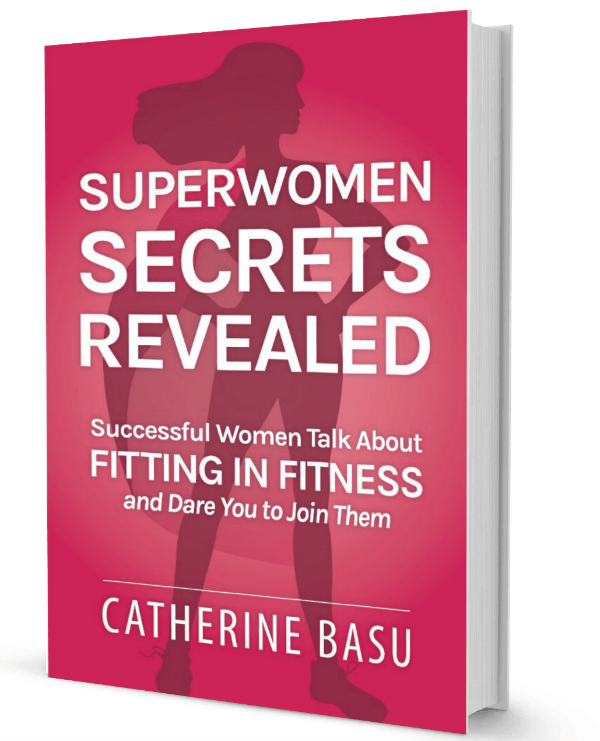 I'm on book tour for my new book, Superwomen Secrets Revealed. Come meet me, get answers to your fitness questions and fitness motivation to help you jumpstart your results!